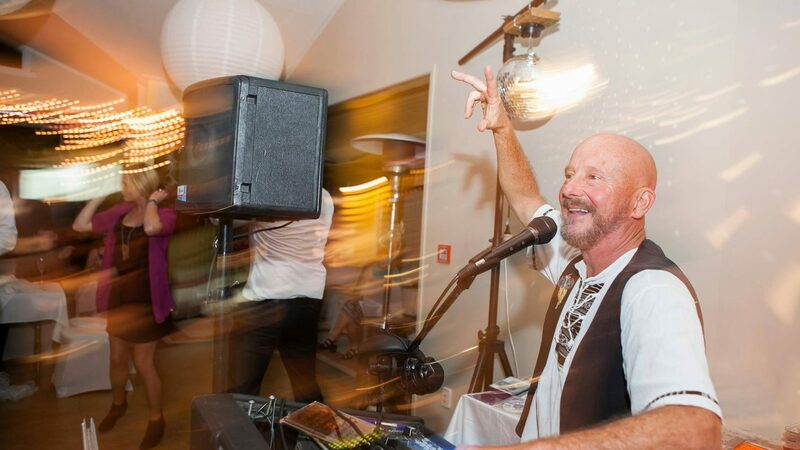 Peter Urlwin was the DJ at our wedding on the 2nd of January this year. He played music at the church for us then provided the music and entertainment at our reception. I would highly recommend pete as he was a pure pleasure to deal with, nothing was ever a problem and although we had to change our reception venue at the last minute he was accommodating, helpful and understanding. We all had a fantastic time, Pete obviously loves his job as he was dancing with us, singing along and really it was like having a friend as the DJ rather than someone who was providing a service. If we ever have a function needing music again we will be snapping Pete up straight away! Just wanted to say again how thankful we are for the FANTASTIC job you did as a DJ at our wedding in Whangamata. The music during dinner was over and above the original job, and it really set the scene for a great night. Would happily recommend your service to anyone holding a special event. The committee and i would like to thank you very much for providing the entertainment for the disco. You certainly have a way with children and we were certainly impressed at how you were able to interact with the children and provide entertainment appropriate to their age. The children had an absolutely wonderful night and we heard some of them were still 'buzzing' when they arrived home from the disco. The disco was very successful and you helped to make it so. We certainly appreciate your assistance once again thanks very much.